'Wood' you like a piece of The Palestra? Hey, all you college hoops fans out there -- here's the ultimate gift in terms of history and practicality. The Palestra -- home of the University of Pennsylvania and Philadelphia's Big Five, and otherwise known as the Cathedral of College Basketball -- is arguably the most historic basketball arena in America. Built in 1927, it has been host to more NCAA men's basketball games and more NCAA tournaments than any other facility in the country. Last year, The Palestra's hallowed wooden floor had to be replaced. Now, Penn is offering several different gift items made from the original wood. I think The Palestra bottle opener, complete with basketball hoop netting at the end, will be the biggest hit. It runs for $75. But I'd never use it -- I'd just treasure it. 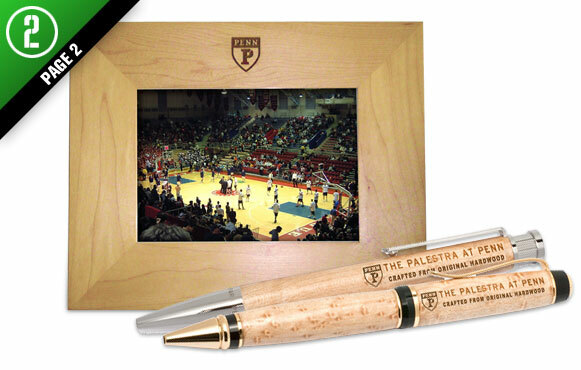 If you've ever seen a game in The Palestra, you know that wood is priceless.